In a frying pan, slowly melt the butter then add the chopped pecan nuts. Add the sugar, stir and cook on a low heat for approx 5 minutes until the nuts are crisp. Be careful not to burn the pecan nuts otherwise they will be very bitter. Remove from the pan and put to one side to cool. In a large mixing bowl, pour in the milk and the cream then add the fried, chopped pecan nuts. Stir in the maple syrup until blended. 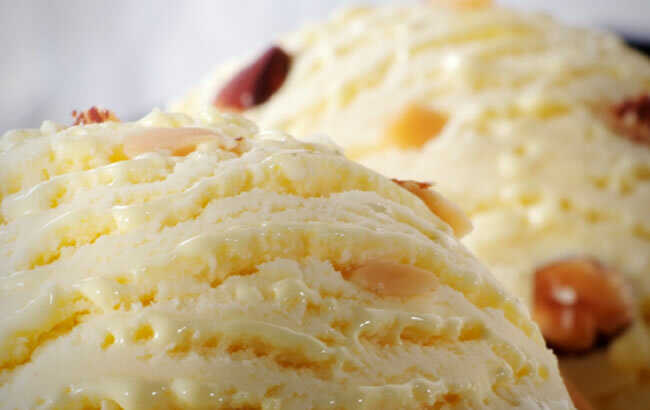 Transfer the complete mixture into an ice cream maker and follow the manufacturer’s instructions.